Full Delivery +Digital. Our premium subscription program. Enjoy all of the benefits of our “Full Delivery” subscription with plans. Plus gain exclusive access to our online digital magazine archive. Your best value! 17.50/issue (regularly 22.50). Full Delivery. Subscribe with the “Full Delivery (includes plans)” option to receive the BalsaBuilder Magazine, bundled with our wonderful featured plan(s) and shipped in a protective sleeve – for only 14.95/issue (regularly 17.50). Basic. 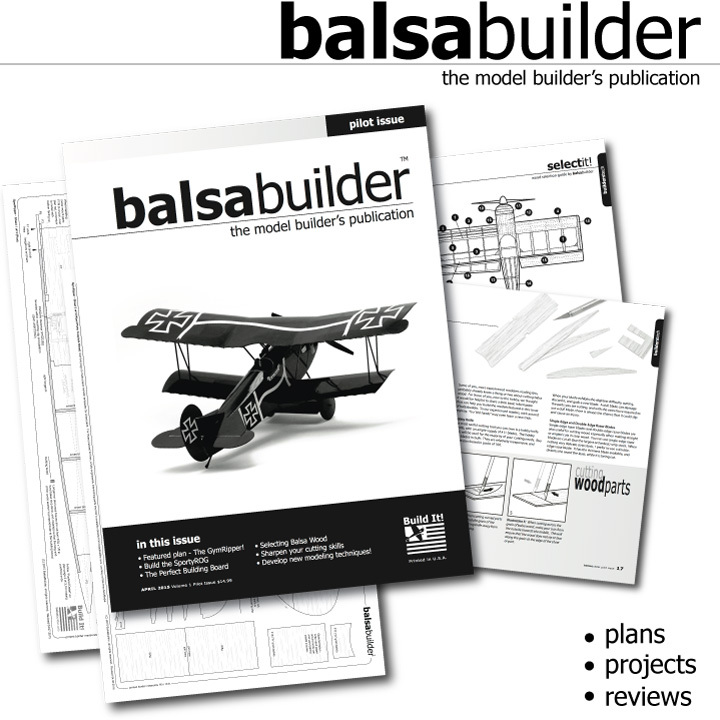 BalsaBuilder Magazine Only, without plans or premium delivery options – only 8.95/issue.